As a teacher, I seek to give my students the same opportunities. 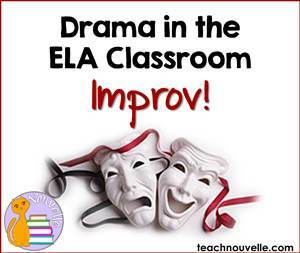 Drama in the ELA classroom is a great way to build public speaking skills, memory, and community. I have used drama with grades K-12 in France, Germany, the US, and Puerto Rico, and students beg for more. Literally. After finals one year, I was planning to show a movie, and students asked to reprise some improv games instead. Awesome! Improv is spontaneous, unscripted acting, and it is excellent for building student confidence. First off, improv games are short and funny. Secondly, students are working toward a common goal. Third, improv is not graded and it inherently “low stakes”. This is your go-to game if you finish your lesson early, particularly if it’s the last class of the day or a Friday. 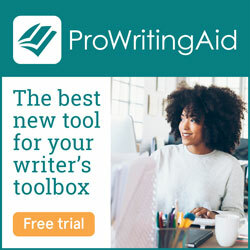 Choose four students to be Storytellers, and one Pointer. The Pointer picks one person to start the story, and then randomly switches between people. The goal is to continue telling a cohesive story, picking up where the last person left off. A participant “dies” if they make a continuity error (accidentally change the setting, for example) or if they hesitate too long before picking up the thread of the story. The audience can be the judge, and participants can “die” an exaggerated stage death for more fun. Last person standing wins. *Students are so focused on the story that they often forget 29 people are listening to them give a speech. Awesome! *Students have to listen to the other participants in order to succeed. Awesome! *It is hilarious and no-prep for you. This is perfect for building character and motivation. This is a revolving door game. Person A starts by sitting on the Park Bench (or Bus Stop, etc.) and Person B comes in and joins the conversation. They talk for a while, and Person A motivates an exit. Person C enters and a starts a new conversation with Person B (who maintains the same character). Person B motivates an exit. Person D enters. Etc. *Students develop a character and interact with two different characters. *It is “low stakes” because the scenes are short. 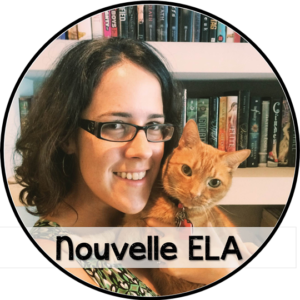 *You can use this with a literature unit by having students draw character names from a hat. This is a great team-building game for any classroom. Four students per round. The premise is that an employee is late to work, and two of his/her coworkers have already given the boss an absurd reason for the tardiness. When the employee enters, the two coworkers must mime the reason behind the boss’ back and the employee must try to explain him/herself. Set up: the “employee” leaves the room while the audience decides on an absurd reason. The boss knows the reason, and is more a “dummy” figure in this particular game, but it’s a great opportunity for students who want to be bossy/skeptical/etc. My students also like to let the boss “fire” a coworker who gets caught miming instead of working, but you don’t have to do this. The audience claps when the employee “gets it”. You can also impose a time limit. *The coworkers are most successful when they work together to mime the situation. *The employee must watch carefully and interpret on his/her feet, all while maintaining conversation. *The audience is rooting for the employee, but enjoying all of the wrong answers. These three games are my favorites to introduce drama in the classroom and to get students speaking and listening! What are your favorites?